It wouldn’t be the holidays without eggnog at my house, but you’ll find my fridge stocked with homemade eggnog rather than store bought ‘nog most of the time. Homemade eggnog has a much fresher flavor to it, and you can control the sweetness so that it suits your tastes perfectly. 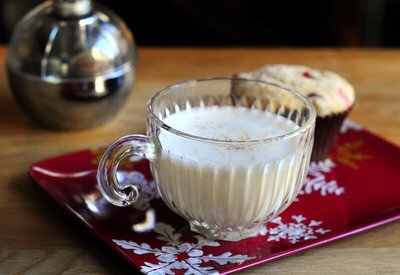 I’ve made many different eggnog recipes in the past, from very traditional uncooked eggnogs to ultra-creamy cooked eggnogs that are almost like milkshakes in consistency. 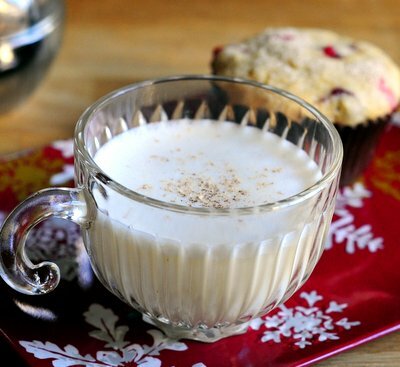 It’s fun to make them all, but this is easily myÂ Favorite Homemade Eggnog recipe. This recipe makes an eggnog that is halfway between an uncooked ‘nog and a pudding-like ‘nog. It’s made by cooking together the eggs and sugar over a double boiler. This process makes the eggs safe to eat, but it also allows them to fluff up and take on a lovely, airy consistency. The result is that you get an eggnog that has a silky smooth consistency and a light texture, not something that is so heavy you only want to take a few sips. It’s not too sweet, but has a very nice vanilla and nutmeg flavor. It is delicious when it is freshly made and still slightly warm, and it is also excellent when chilled. The eggnog will keep well in the fridge for at least a day or two without loosing any of its body or flavor. One of the best things about making homemade eggnog is that you can really customize it. You can add extra sugar to make it sweeter, and add a dash of cinnamon along with the nutmeg for a little extra spice. You can also choose the type of milk that you want to use to make it a little bit lighter. I like to use whole milk for the extra richness, since eggnog is supposed to be an indulgence. You can easily substitute low fat milk for a slightly less guilt-inducing variation. 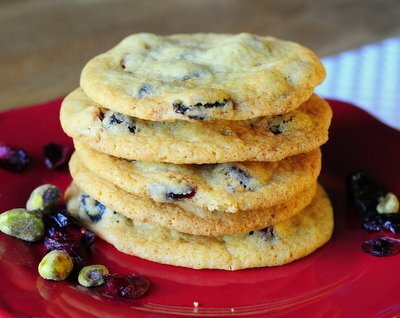 And, of course, feel free to double this recipe to serve a crowd at a holiday party! Set a small pan of water on the stovetop and bring it to a simmer, or heat up a double boiler. In a large metal bowl, whisk together eggs and sugar. Place bowl over pan of simmering water, creating a seal so that no steam escapes. Continuously whisk the eggs and sugar together. The sugar will dissolve the the mixture will roughly triple in volume. Cook until the eggs reach 165F (check with a thermometer), about 10 minutes. 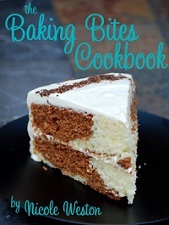 Whisk in vanilla extract, nutmeg and milk until mixture is smooth. Serve immediately, or refrigerate until well-chilled before serving. Garnish with additional fresh nutmeg (and a splash of booze, if desired) before serving. Love that eggnog with rum!